Often times I see these really awesome tools to make really awesome food. You know what I'm talking about. 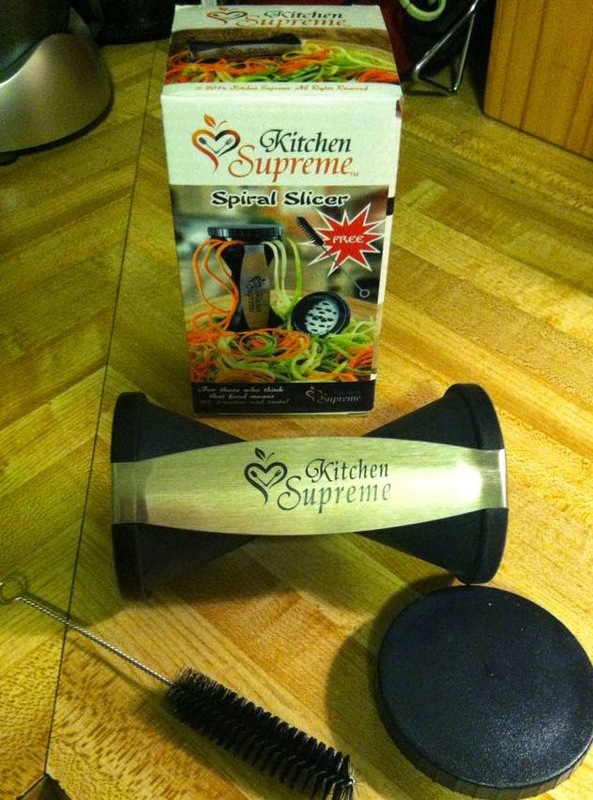 Tools that can take a vegetable and turn it into something similar to spaghetti! Say WHAT!!! Yep, you read that right. 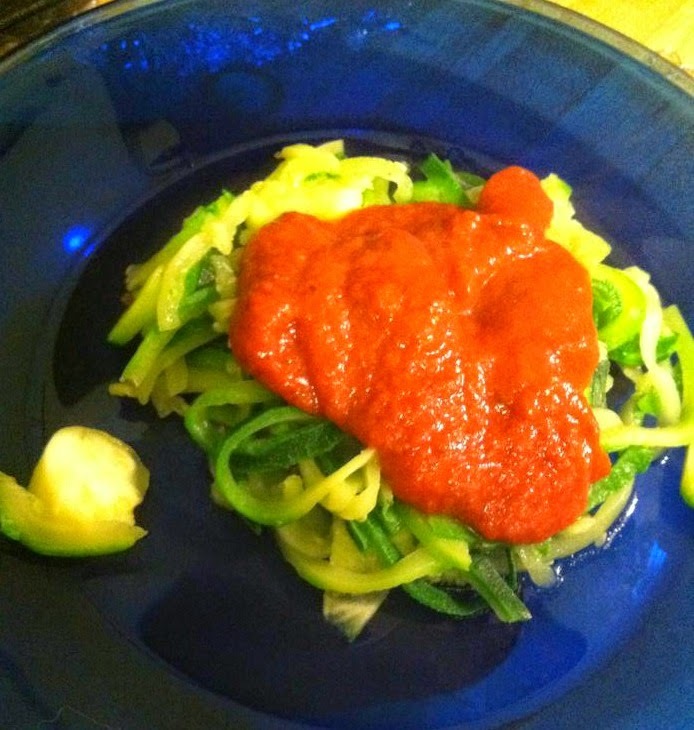 Vegetables that are transformed into spaghetti. I am doing this now with my new Spiral Slicer by Kitchen Supreme! 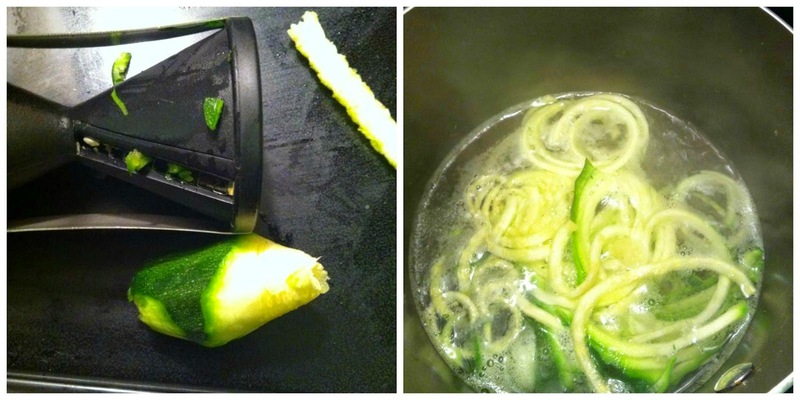 What I find so great about this little tool, is the fact that I can take a long zucchini, simply twist it inside this spiral slicer and it comes out in long strips. It's amazing! Veggies into long noodle like food! I love it! You'll notice above I was left with a little bit of a nub, but it was so small i just cut it up with a knife and threw it in the water with everything else. Just check out those long noodles! After I boiled the veggie noodles for a few minutes, I drained and topped with my favorite red sauce, salt and pepper. Pretty tasty if I don't say so myself!